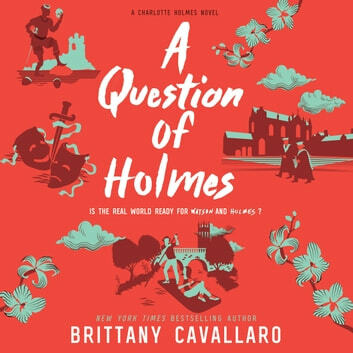 In the explosive conclusion to the New York Times bestselling Charlotte Holmes series, Holmes and Watson think they’re finally in the clear after graduating from Sherringford…but danger awaits in the hallowed halls of Oxford. Charlotte Holmes and Jamie Watson finally have a chance to start over. With all the freedom their pre-college summer program provides and no one on their tail, the only mystery they need to solve, once and for all, is what they are to each other. But upon their arrival at Oxford, Charlotte is immediately drawn into a new case: a series of accidents befell the theater program at Oxford last year, culminating in a young woman going missing on the night of a major performance. The mystery has gone unsolved; the case is cold. And no one—least of all the girl’s peculiar, close-knit group of friends—is talking. 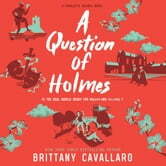 When Watson and Holmes join the theater program, the “accidents” start anew, giving them no choice but to throw themselves into the case. But as the complicated lines of friendship, love, and loyalty blur, time is running out—and tragedy waits in the wings.